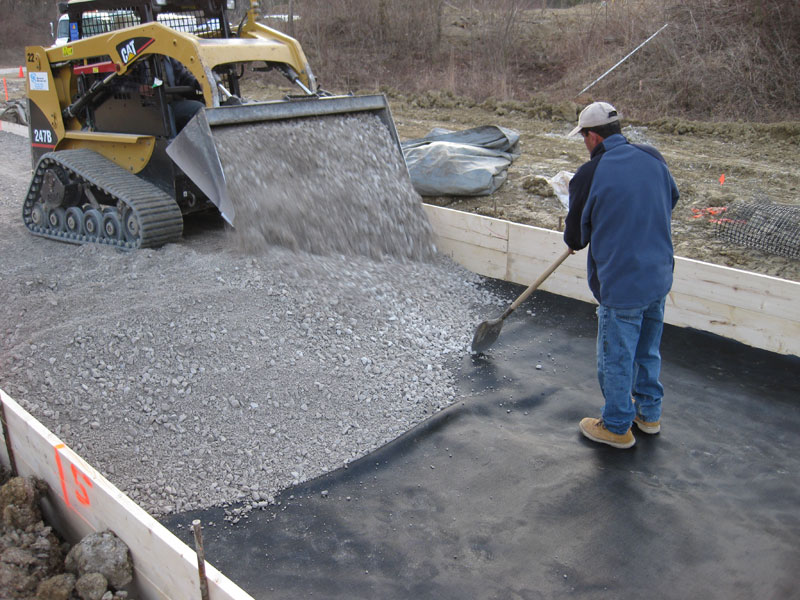 This study documents the performance of controlled test sections of unpaved geosynthetic reinforced aggregate base overlying soft subgrade. The tests were conducted in Weirton, West Virginia from March 17 to 20, 2009. 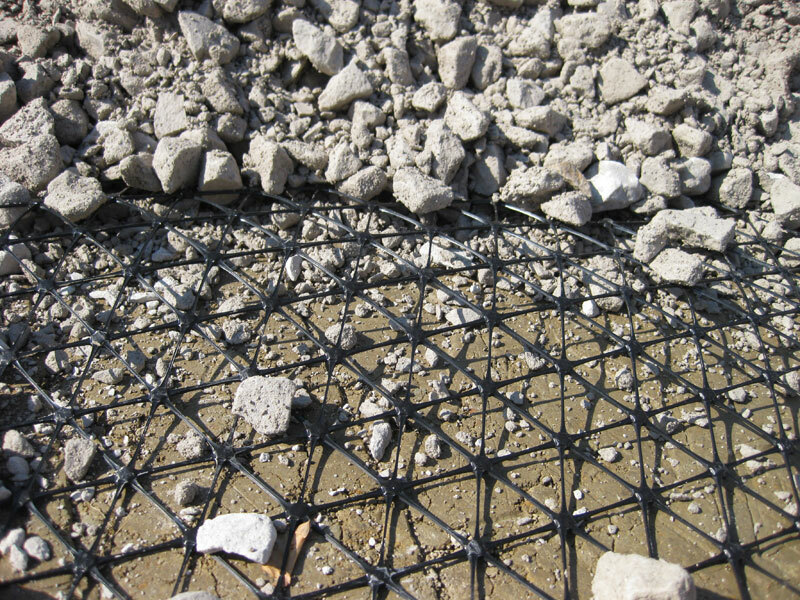 The test sections included a control section with no geosynthetic and sections incorporating a woven geotextile (14.5 osy), Tensar BX1200 geogrid, or Tensar TX 160 geogrid. Case/Ammann and Caterpillar roller with integrated compaction monitoring systems, in-ground piezoelectric earth pressure cells(EPCs), and in-situ point measurement techniques (i.e., dynamic cone penetrometer, light weight deflectometer, plate load test, and nuclear density gauge test) were used to evaluate the conditions of the test sections after selected roller and trafficking passes. 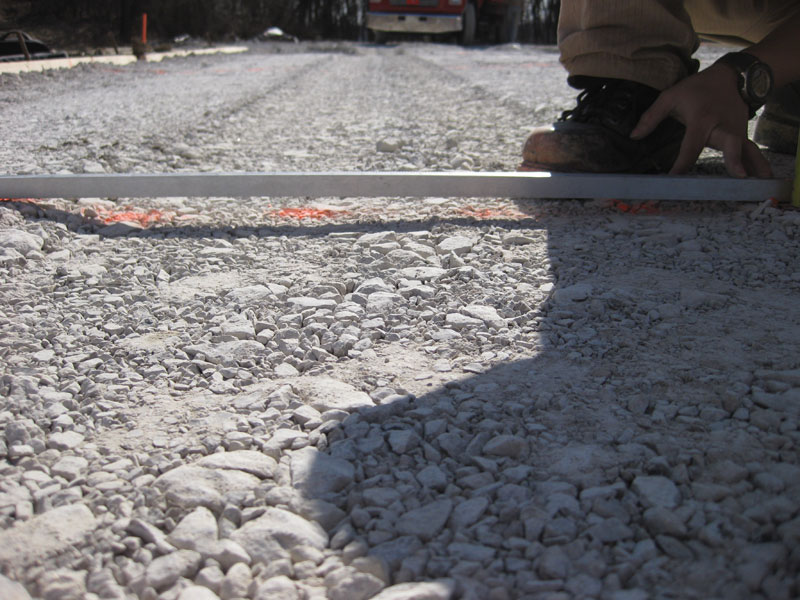 The roller measurement values showed that results were repeatable between passes, but primarily reflected the conditions of the underlying weak subgrade due to the high compaction stresses and one the dimensional nature of the test strips. The underlying subgrade was considered to be weak and variable. 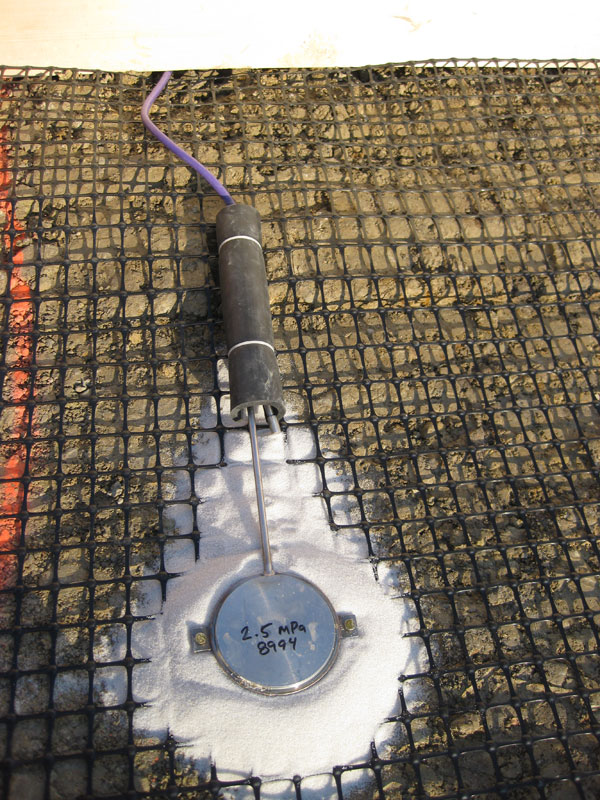 The in-situ point measurements showed unique compaction curves for density, elastic modulus, and CBR not previously documented. Rut depth measurements under trafficking from a heavy vehicle, layer compaction measurements, and in-ground stress measurements under compaction and trafficking passes, provide information on the reinforcement provided by the different geosynthetics. Key findings from this study are that rut depth and compaction measurements showed better performance in the TX160 geogrid section compared to other test sections, while the elastic modulus and CBR measurements were variable between sections. 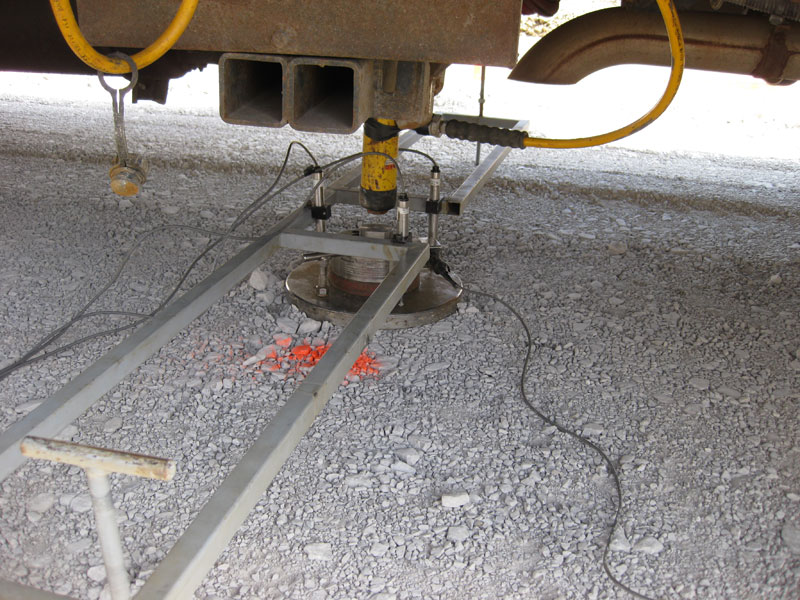 In-ground stress cell measurements showed that the “locked-in” horizontal stress in the subgrade after trafficking was lower in the TX160 section compared to other test sections. Improved performance in the TX160 section can in part be explained by higher lateral restraint of the subbase layer following compaction and trafficking and reduced horizontal stresses in the soft subgrade layer under loading, compared to the control and other geosynthetic sections. Additional research is needed to verify these results for different subgrade and aggregate materials.